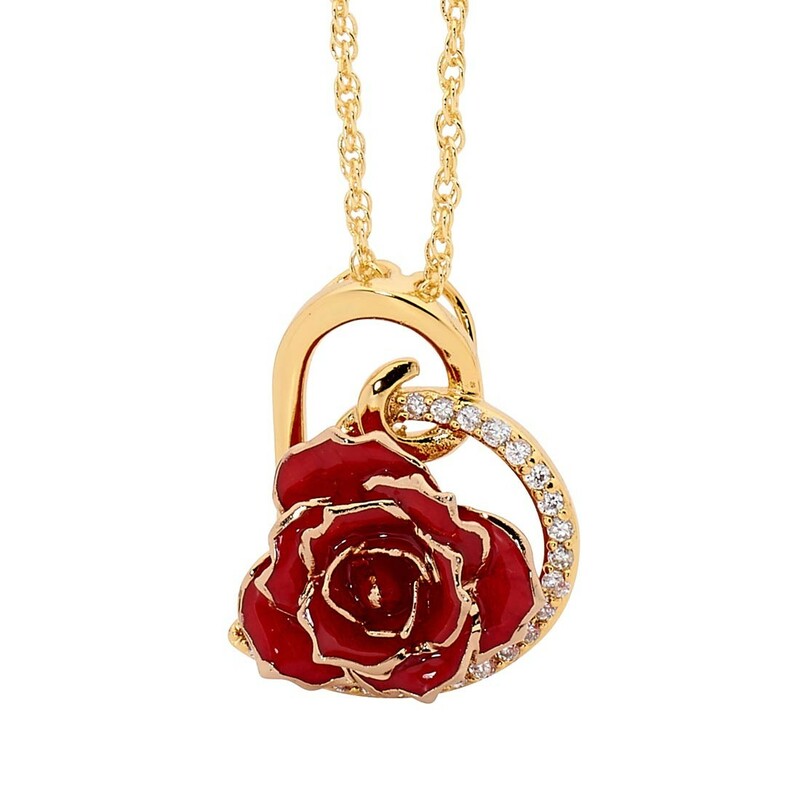 Luxurious pendant created from red natural miniature rose petals trimmed with purest 24 karat gold. Each pendant features a heart design, studded with 21 radiant synthetic diamonds. 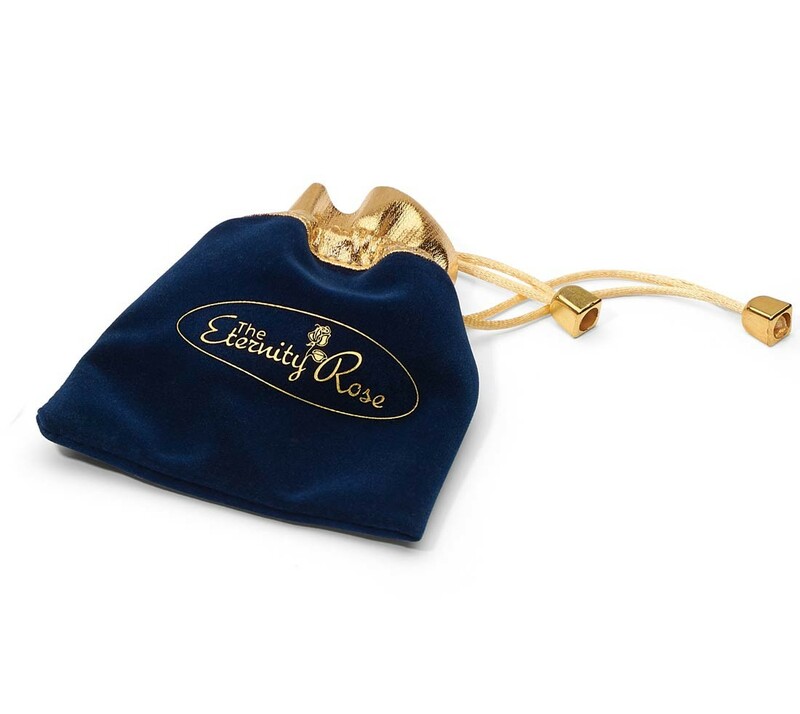 Presented in a thick navy-blue velvet pouch featuring a gold-trim with braided draw strings. Intricate fine detailing and backed up by a lifetime warranty. 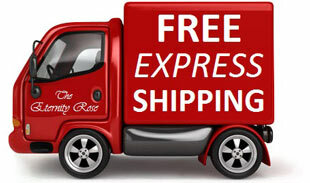 Rapid delivery and dispatch with order processing takes place within hours. Two-day express transport is arranged without extra charge. 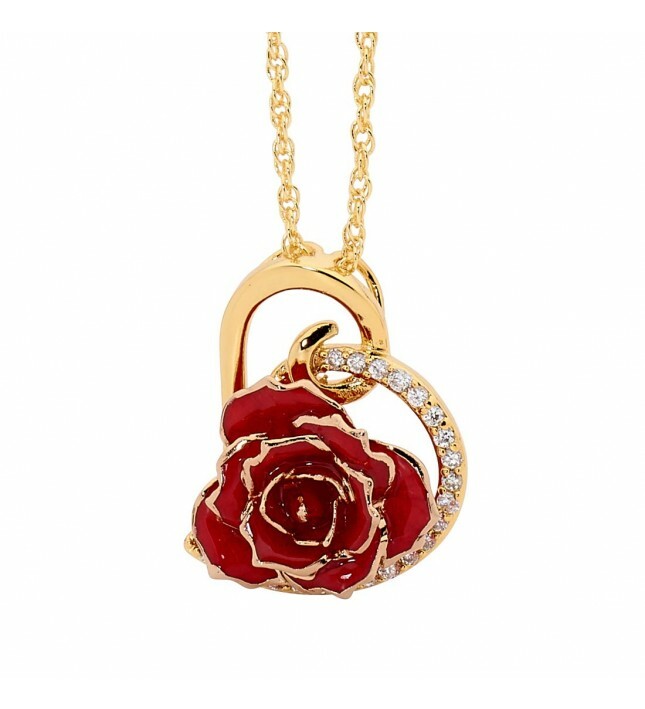 A stunning pendant in a romantic heart shape, formed using red natural miniature rose petals that have been perfectly glazed and decorated with fine 24 karat gold. A matching gold-dipped multi-link chain is also supplied. The pendant's elegant miniature rose head measures 3/4” approximately in diameter. Styled in a heart shape, the pendant is studded with 21 radiant synthetic diamonds with the overall dimensions being 1.18” in height and 0.91” in width. Each pendant comes in its own sleek navy-blue velvet pouch decorated with draw strings made from golden braid. The pendant is coated in a generous layer of fine 24 karat gold. Every jewellery item is a skilled work of art, made by talented craftsmen. The glazing and gold trimming process takes a full three months and 60 steps before it reaches completion. Every pendant is produced by hand to the most exacting standards, resulting in a work of art that is entirely unique. Part of The Eternity Rose range, the quality of this pendant is guaranteed with a lifetime warranty. Each jewellery item undergoes close scrutiny in order to ensure that it reaches the highest standards in Europe. These beautiful items have won a number of quality and design awards. There is no expense spared in ensuring the supreme quality of each beautifully crafted pendant. An ideal present for any lady who cherishes fine jewellery and loves the beauty of a natural rose. This type of pendant also comes in a beautiful leaf-shaped design.